1000+ words patch notes incoming. 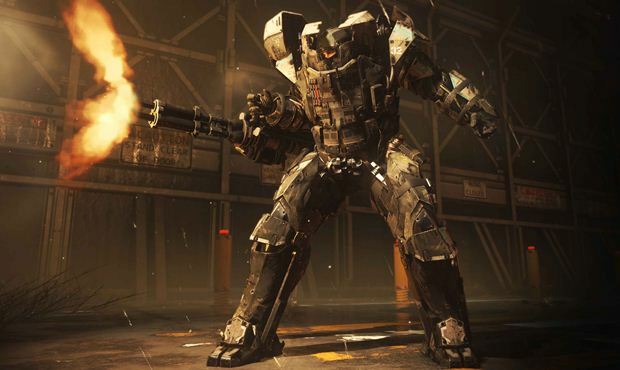 A new patch for Call of Duty: Advanced Warfare is now out on the PlayStation 3 and PlayStation 4; the patch seems to be pretty wide ranging and exhaustive, and targets a lot of areas, including weapon balancing, matchmaking, connectivity, UI and store updates, and fixes to a multitude of crashes and exploits. As of right now, the update seems to be only out on PlayStation- Sledgehammer has not mentioned a release for other platforms, including Xbox or PC. Whether that is because the game was only in need of this patch on PlayStation, or because they don’t have a concrete release date locked down yet, and don’t want to make any promises, we do not know. Fixed issue where announcer’s voice ignores the in-game option to disable it. vFixed an exploit of rapidly firing a bolt action gun while sprinting. Fixed a rare issue with emblems on a second profile that’s signed in a guest. Addressed issue where players were dropping multiple divisions after a match in Ranked Play. Updated various Exo Survival system mechanics.